WBC has confirmed that they have designing a new belt which will be awarded to the winner of Mayweather vs Pacquiao fight on 02 may 2015. 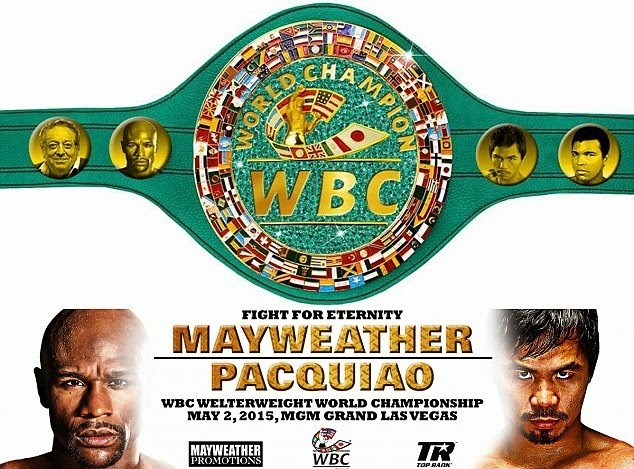 The fight will be a unification bout where Mayweathers WBC Welterweight title belt and Pacquiao’s WBO title belts will be on the line and winner will unify the world titles in this division and WBC will award a special belt which is made of gold and platinum and it is the most most expensive boxing belt ever made which cost around $1 million. Fans voted to choose the design and the belt was made in mexico and revealed this week. 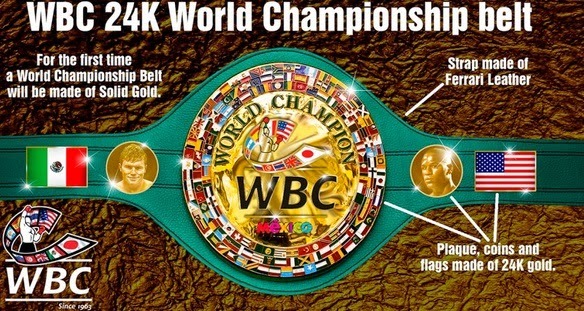 So thats two normal WBC and WBO belts plus the new special belt up for grabs for the winner of what will be the msot lucrative boxing fight in history of boxing as far as money is concerned. 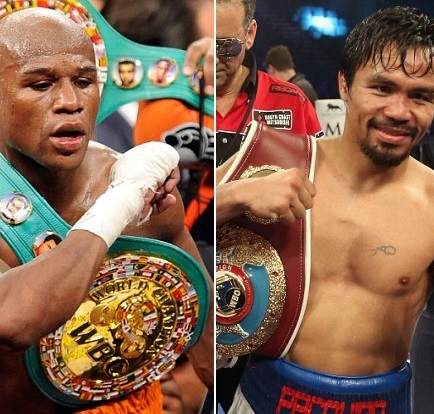 The fight will also feature the biggest fight purse of all time where $250 million will be awarded to Mayweather ($150 million) while Manny Pacquiao will get ($100 million) regardless of the result. 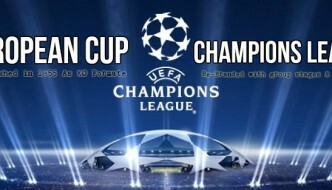 The fight is just 2 months away and the anticipation is huge with tickets are hard to come by for normal boxing fans. According to Forbes the ring side tickets which has the face value of around $5000 to $7000 are being sold in secondary market for huge prices. Bob Arum stated to get ringside tickets at MGM grand on the night of the you need to have a $250,000 credit line with MGM and some exclusive tickets might cost somewhere between $50,000 to $100,000 which means this fight is for the rich people and normal boxing fans might have to settle with PPV coverage on TV. Back in 2013 when Mayweather fought Canel Saul Alvarez WBC also designed a special belt made of solid 24k gold and also featured a ferrari leather strap. Here are the details of that belt. Once the pictures of newly designed belt for Pacquiao vs Mayweather has been released we will update right on this page. 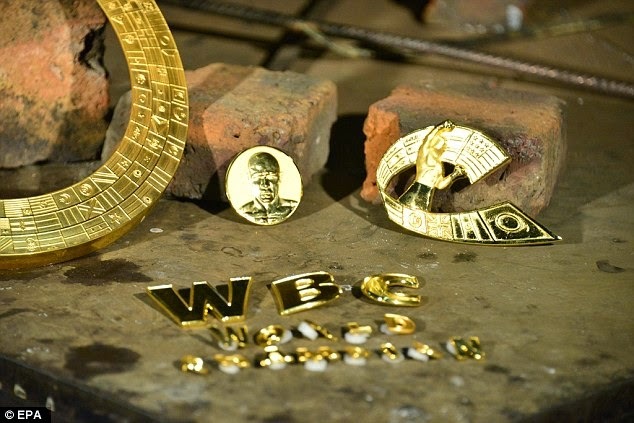 WBC has a history of making special belts for historic fights and some of the fights which included special belts by WBC include.